This literally made my day!!! I cannot get over how adorable this is!!! 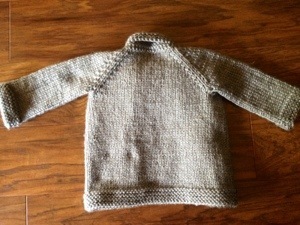 And SUCH a quick knit. This would be a great pattern to pull out for a last minute gift. I made this whole thing from start to finish in about 7-8 hours working time? 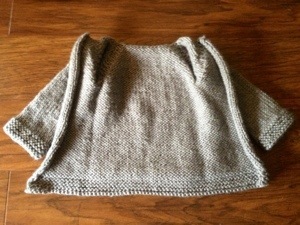 I used Caron Simply Soft in Grey to make the 6 month old pattern size. I used about 118 grams of yarn so just under a full skein. The pattern was very well written and organized. It helped me learn my very first wrap and turn!! 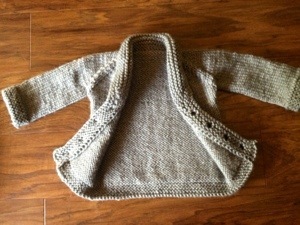 I highly recommend this pattern for someone wanting to learn sweater construction. It’s top down raglan style and SOOO easy! 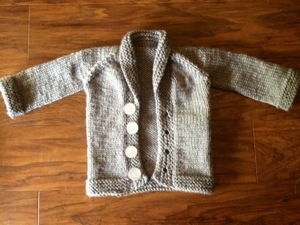 Only a few more weeks until we get to meet the little guy to fill this sweater! Well and maybe a couple more months before he is big enough to fill this, lol. My only thought now is….how do upsize this pattern to make myself one? I need to make a boat load of scarves and tutus for fall craft fairs. I normally work one scarf at time and I can whip through them pretty quickly. But in the interest of time and mass production I decided to try two a time! So I picked up my US 8 circs and cast on two ruffle scarves. So far so good. And both scarves are growing appreciably. It is a bit fiddly to keep the two yarns from wrapping around each other as I turn my work. But I can work the same pattern of decreases and increases on both scarves at once. Thus creating uniform output for sales purposes! I’m currently out of project bags….so Ziplock will have to do, lol. 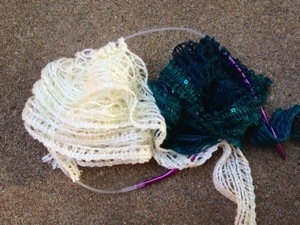 At least when the yarn gets tangled I can pop it out of the bag and untangled the whole mess. Hopefully I can crank out several of these bad boys in the next few weeks. For this WIP Wednesday I thought I’d do a little WIP flash! 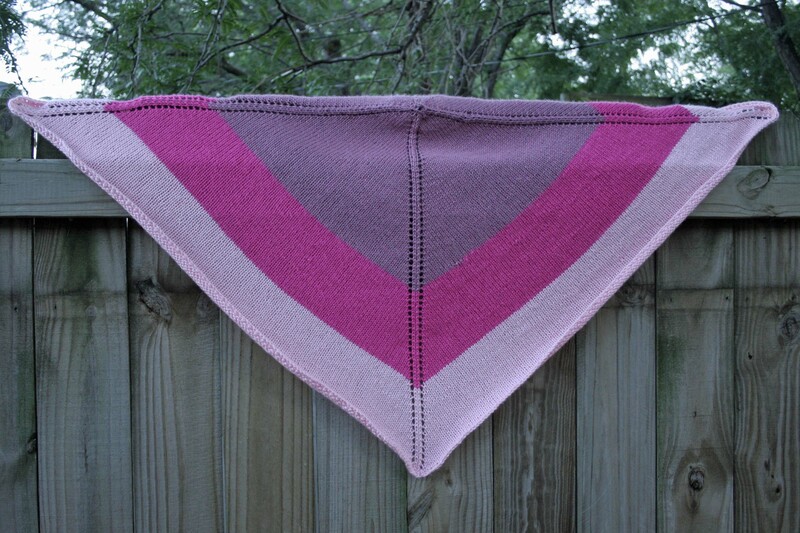 First up, my Baby Sophisticate (Stashbustin’ #26) is flying off the needles!! I have the body complete and the sleeves done! 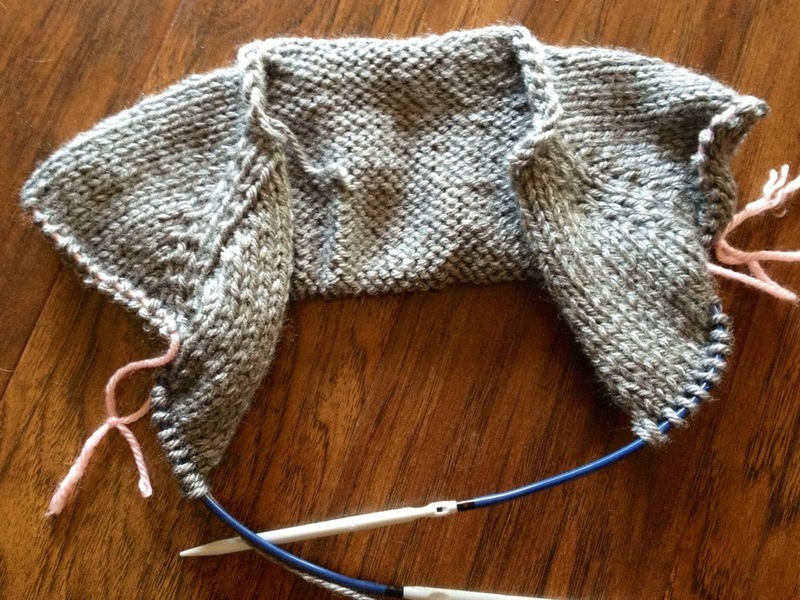 I even put my big girl knitting pants on and used dpns for the sleeves instead of magic loop. I had to frog a few places but the Simply Soft yarn is holding up well. 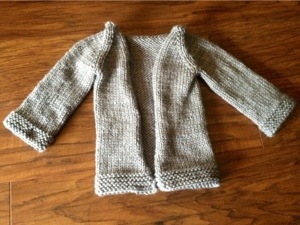 This is turning out to be the perfect “old man sweater” for my friends. I still have to pick up and knit the button band and shawl collar. 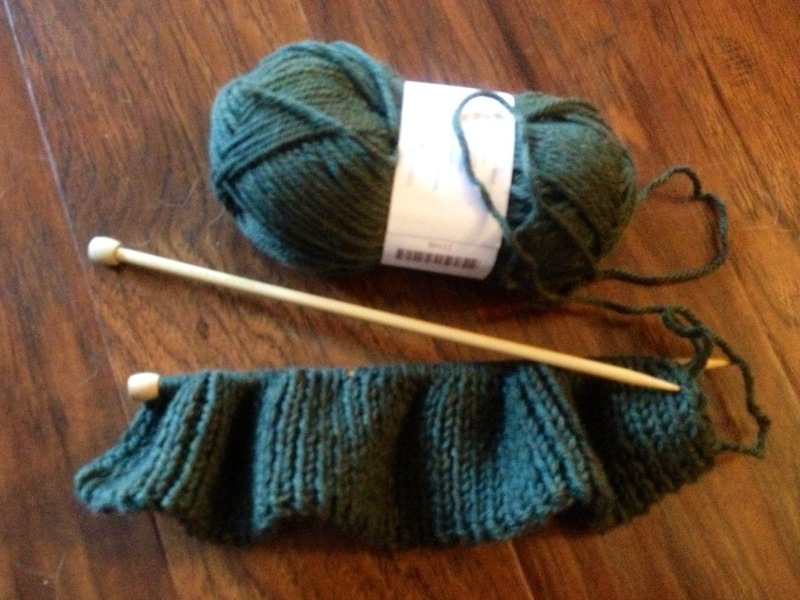 I have never done the wrap and turn short row construction that the pattern calls for. But the author gave excellent directions so I think I got this! This has been my obsessive at home knitting project. 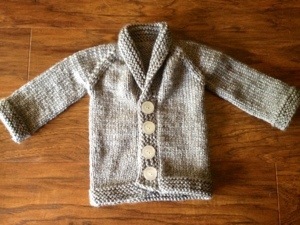 I may have to crank out a few more of these for my emergency baby shower/present stash. I now have 22 inches complete on leg #1. This is currently my “travel/purse” knitting so progress is slower. But I just love the feel of this yarn as I work with it. 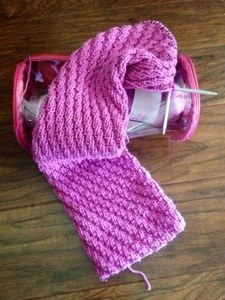 I have to admit that sometime I stop knitting and just fondle the knit fabric…. gotta love Knit Picks yarn! These have absolutely no practical purpose, but I can’t wait to wear them. I have a feeling that these will be one of those rare projects that is fun to knit and to wear! Happy Knitting and Happy Wednesday! 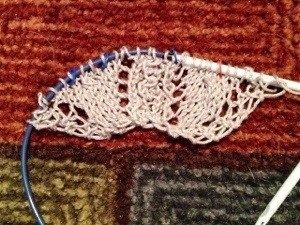 Yep this if Florelei shawl in Cascade Sunseeker yarn or my Stashbustin’ #22. I started this waaaay back here. Then I filled you in my all my progress here. Well, I feel obligated to inform you that it still looks like this. 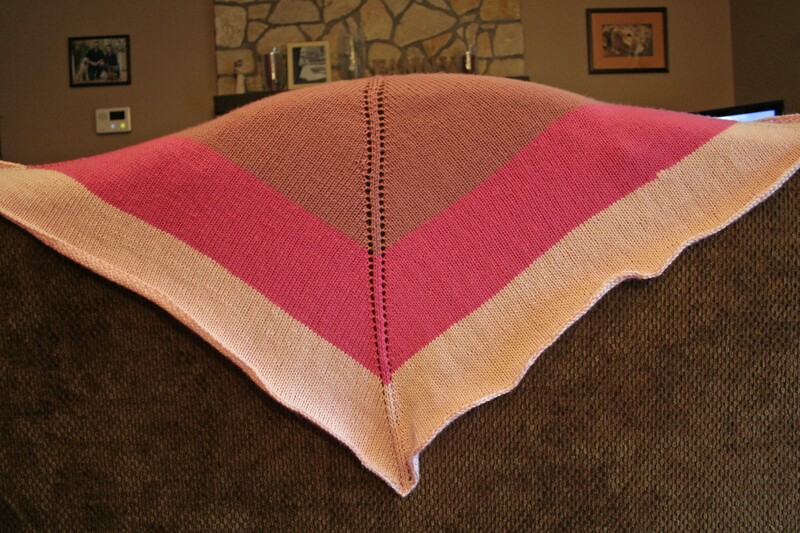 This pattern is great but represents a serious skills challenge for this shawl chart newbie. This summer has just been so packed with fun and activity I haven’t had the time nor inclination to sit back down with this. And now I’m in the throws of knitting for fall craft fairs for the next three months. So in all honestly, I am going to let this project hibernate in my craft room. Right on top of my yarn cabinets where I can clearly see it. And come this winter when the snow is falling softly outside I will pull this project out and kick it’s shawl behind. I don’t care that it’s a shawl and I should be making sweaters. I know that I need some fortitude and peace to work this project out. And so it will have to be. Have you ever had to put a project in long term time out? Why is it that I can never find the needles I need when I start a project? I have become a BIG fan if circs as they are flexible and take up less room in my lap. But straights will do in a pinch. I finally started my Stashbustin’ #26 projects. This balaclava is for a coworker. I’m making the largest size the pattern has as the recipient is a large man. I hope to finish this and maybe one more before fall comes! Baby Sophisticate is rocking and rolling! This is Stashbustin’ #25 in my queue of projects. 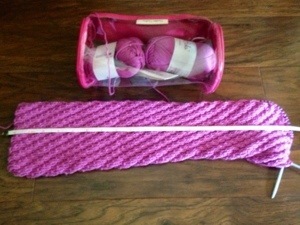 I predict a FO in my very near future!! Tah dah!!!! Aunt Marta’s Prayer Blanket is done! After a good bath and days of drying….the edges still curl (ARGH). I know it was more to hope from acrylic but still. The center also still has a little pooch. Laying flat it looks a bit like a volcano. And the outside is a bit warped like a spider web? 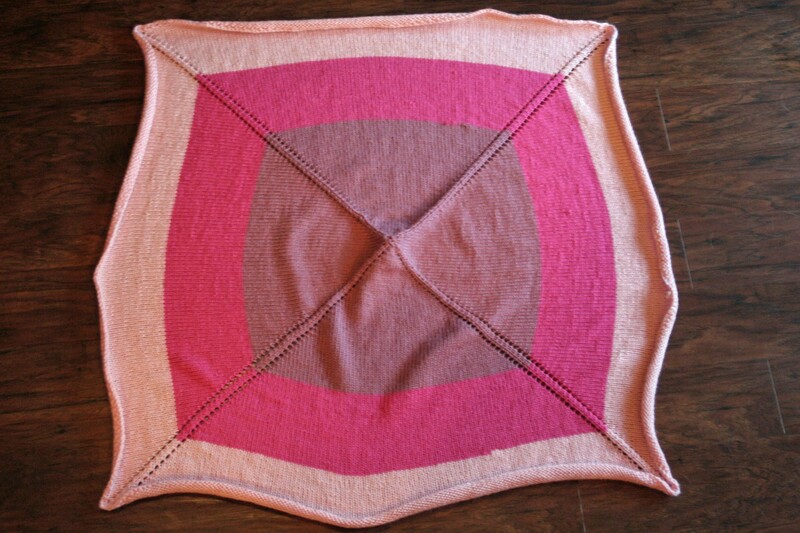 I improvised this blanket based on the basic concepts of the Constant Square Blanket by Tina Laiho. 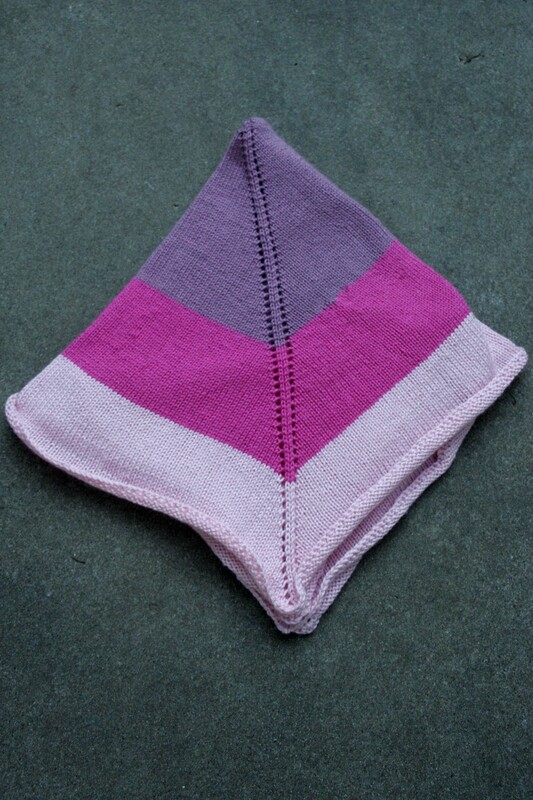 I have to say that even with my trepidation about the colors, I rather like them together in the FO. My end product is a 38 by 40 inch square(ish) blanket. I used 882 yards or 340 grams of Caron Simply Soft yarns. I used Dusty Rose, Watermelon, and Light pink. I went down a needle size to US 7 for this project to create a tighter fabric. Now all that’s left is to package this up and send off to Aunt Martha for her new home! Now, I’m off to pack to spend the weekend with my best friend as she celebrates the impending birth of her baby girl! Happy Friday to All!!! 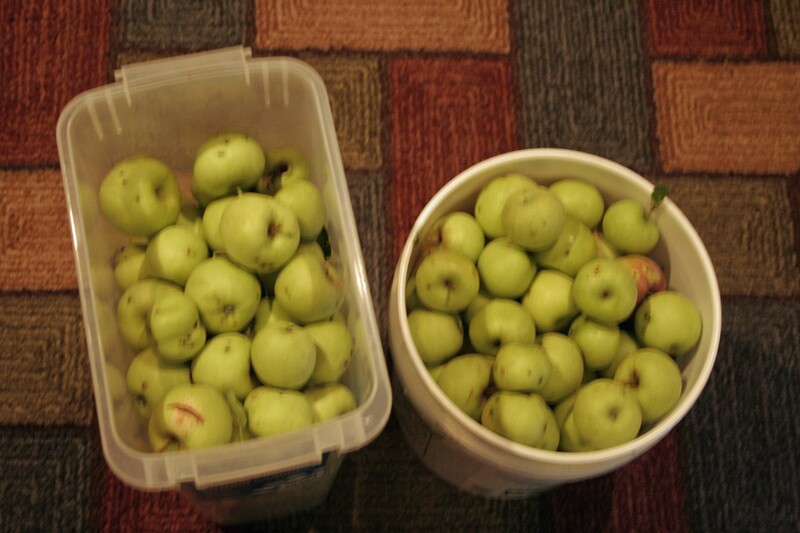 I now have two five gallon buckets of apples. And I only picked half of one tree!!! There are a few gems in there but mostly they are all covered in worm/bug/bird marks. It’s going to take a lot to dice and clean these babies up. For now they are bathed and chilling in my fridge. 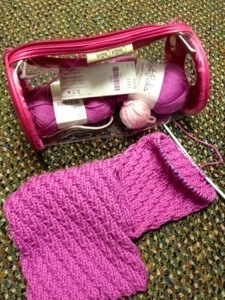 Finally some decent progress on my Spiral Leg Warmers or Stashbustin’ #24 for those of you keeping score. I’ve got a solid 16-17 inches down on the first leg. 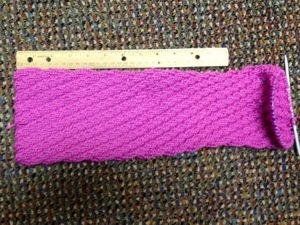 The pattern calls for 30 but I’m going to try it on and see how it fits at 26-27 inches. This Comfy Worsted is so silky under my fingers it makes me giddy! I am halfway through my second ball so I’m on track for 6 balls total for the project. 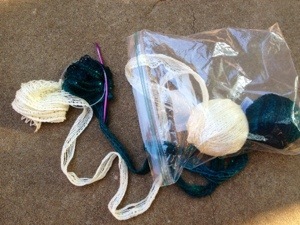 This is a great purse knitting project as I can fit it yarn and all in one of my plastic cases. I’m hoping the yummy yarn will help me power through the “second sock syndrome” when I get to the next one! Have you ever had a case of “second sock syndrome”?